LawBreakers, the new game from outspoken veteran developer (and one of the creators of the Gears of War franchise) Cliff Blezinski has been going through a lot of changes since it was first announced six months ago. Most notably the confirmation today during a GDC panel that the multiplayer shooter debut on PC delivery platform Steam as a timed-exclusive. Billed as Cliffy B's 'triumphant' return from retirement, LawBreakers raised a few eyebrows when it revealed in 2015, but with a slew of multiplayer-only shooters already on PC and current-gen consoles the addition of another armoured bullet-fest was hardly breaking ground. This lukewarm reception clearly had an impact on developer Boss Key Productions with the studio announcing that its original free-to-play model had been dropped in favour of a single up-front fee. The man himself confirmed it wouldn't be a full-price release, but that its asking price would negate the need to buy extras, a la F2P. "We did a lot of discussions and even more research. There are some core free-to-play games that do well, but for us, we didn't want to go down the well of players buying 'energy' or other sleazy things," comments Bleszinski. "A lot of core gamers have a negative reaction when they hear free-to-play because they think they'll get ripped off. 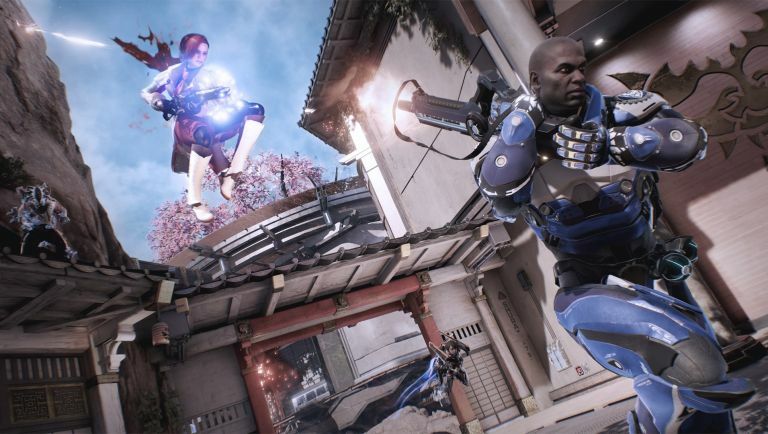 LawBreakers' new art style certainly has a more mature and broody than the original visual style it was going for, but will it be enough to make it stand out when similar online shooters such as Battleborn and Overwatch also heading to market this year? We're not convinced... yet.